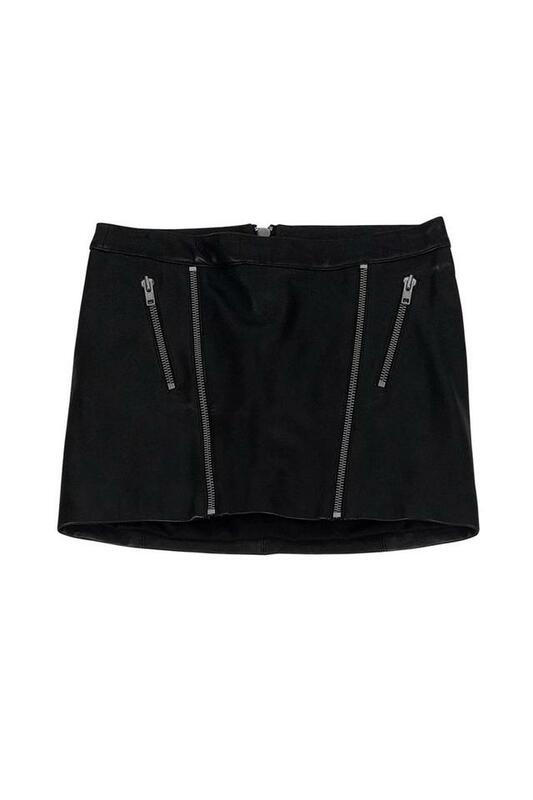 This daring black leather mini skirt is a wardrobe staple. Perfect for transitioning from day to night. Made with silver zippers for an edgy look.